A Romani man has been murdered in Solomos, Greece on the afternoon of Sunday 24th March 2019. According to police, the incident happened when two Romani men, aged 52 and 54, allegedly tried to steal some chickens from the property of a 35-year-old non-Roma man, not far from Corinth. The owner of the property saw the two men in his yard and opened fire on them with a hunting rifle, killing the 52-year-old Romani man whilst the other managed to escape. The relatives of the victim reported the incident to the police who arrived at the property to investigate the crime. Upon finding the body of the Romani man dumped in a nearby quarry, the officers arrested the 35-year-old man on suspicion of murder. 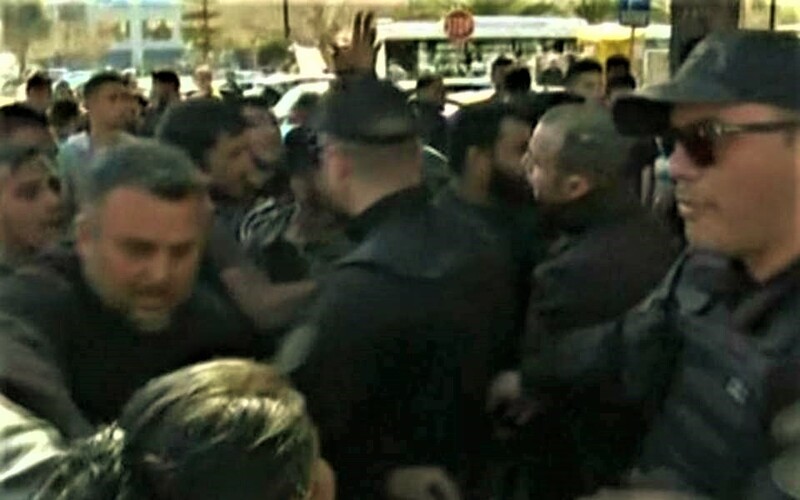 Since the shooting, protesters demanding justice for the Romani victim have clashed with police outside the courthouse in the city of Corinth, where the suspect appeared before a prosecutor on Tuesday to face charges of murder. It is unclear whether racial motivation is being taken into account by the prosecution as a motive for the murder. More protesters also staged a demonstration at the scene of the crime, where police officers had to be stationed outside the suspect’s house. The incident demonstrates a failing of state mechanisms which should be in place to prevent situations from escalating to this point. It is highly likely that these Romani men were attempting to steal chickens because they are hungry and poor. Though the swift action, investigation and arrest on the part of the police is to be commended, this should really be a last resort from local authorities. It is a role of the state to ensure its citizens do not go hungry, regardless of their ethnic background. Additionally, there are a number of mechanisms which authorities can, and should, use in marginalised and impoverished areas with mixed ethnic populations. Where were the social workers? Where were the mediators? Where was the community policing? The death of this Romani man represents a failure of local governance and social welfare institutions, as well as being yet another example of extrajudicial punitive measures taken against Roma by private citizens for petty crimes. This is not the first time Roma have been shot dead for committing small crimes, or in acts of collective punishment. Last year, a 13-year-old Romani girl living near Amfissa was gunned down from a truck by a 34-year-old man with a hunting rifle who blamed Roma for his shop in the town being vandalised. Last year in Bulgaria, a 17-year-old boy named Goszko was shot to death while collecting hay with his grandfather. In 2017, a 24-year-old Romani man was also shot dead in Breaza, Romania by police officers whilst he was collecting firewood in the forest. Often in these cases, the armed landowners or police officers see brown, Romani faces which they collectivise according to their perception of ‘the Gypsy’; the unfortunate result being they don’t hesitate to open fire without warning. The policy of – shoot first, ask questions later – is one that is all too often being applied exclusively to Romani people in the region. The ERRC is monitoring the situation and is in contact with local activists and organisations.